Are you looking for Masters Form Fill Up 2019 notice? Masters 1st part is the first step for students who want to complete graduation from national university Bangladesh. This form fills up validates for the master’s regular students’ session 2016-17 and irregular students 2015-2016. And also available for the students who failed one or two more subjects for the session 2014-15, 2013-14. Here are the full details about masters form fill and how to apply for filling your form in online. Students can use the national university website and also our website EducationBD. The National University of Bangladesh recently published Masters form fill notice 2019. This notice is for the students who are regular in Masters and also for the students who are not regular students. So I suggest all of the students fill their form quickly. The form fill of Masters students will start for the session 2016-2017 students. After completed fully form fill systems Masters routine 2019 will publish within two weeks. Masters form fill up starting 24th March 2019 and it will continue for almost one month. It will end on 15th April 2019. This form filling process is entirely online-oriented. After filling your form and you have to print out the form and after that, you have to submit your document to your personal department. Some fees require filling the Masters form fill up. Earlier this money had to be deposited in the college. Now the college does not have to deposit money. Each student has to pay a certain amount of money online. It directly deposits online at the National University office. Students can download their form fill up a notice in pdf. You won’t go anywhere for downloading pdf file click the link below and download your data and also you can check our website by photos. Form fill up pdf link. To fill your Masters form, you have to use online for applying. Now we are showing you the process of fill up your way. Fill in the empty room with your registration number. Then you can see your subjects list. Put your phone number and Then click On submit. If you can’t do this process then comment on here we will help you as soon as possible. The Masters exam routine will publish in a few days after completing the form fill up. Usually, the Masters exam begins within one or two months of the method of the analysis. Therefore, before preparing the preparation of the test, it has to be started. If it is not possible, then the First part of Masters year students of the exam cannot be right. And the results of the Final year on the first year results depend. A good CGPA will come in graduation if the results of the First-year examination are good. The exam routine of Masters 1st part 2019 will be available here. 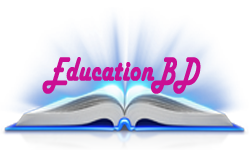 You will download your routine from our website EducationBD. So good luck to all the students. Shortly after the publication of the Masters examination routine, the national university publishes the list of the centers in the examination. The list of Exam centers will announce on our website. You will not have to go anywhere to download the center list. Keep eyes on our site to get regular updates. Like our Facebook page and ask any questions. According to the rules of National University, the result of Masters under national University publishes within three months of finishing the exam. We always tried to give users the correct information. Stay with us to get a new update on the National University. After publishing the Masters results, we will provide you with your results from our site. If you have problems finding the result, then we will give you the results in the form of pictures. Thanks For reading this post. Hope you are like it.